So far it's been one of THOSE days. The ones where, as my mother was fond of saying, you would get more accomplished had you stood in bed. No clue where that expression came from, but it fits. I really DID want that cup of coffee that is now sloshing about quite nicely in my keyboard. This one is pretty easy and yet looks quite effective. 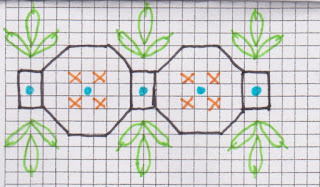 Straight stitches (black); lazy daisies (green); cross stitches (orange); and beads (blue). I also added some beads at the ends of the lazy daisies. 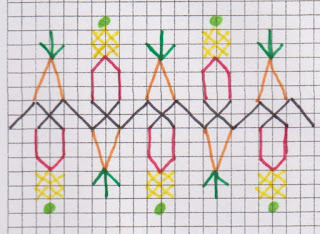 Straight stitches (orange, green, red & black) with some additional cross stitches (black and yellow). 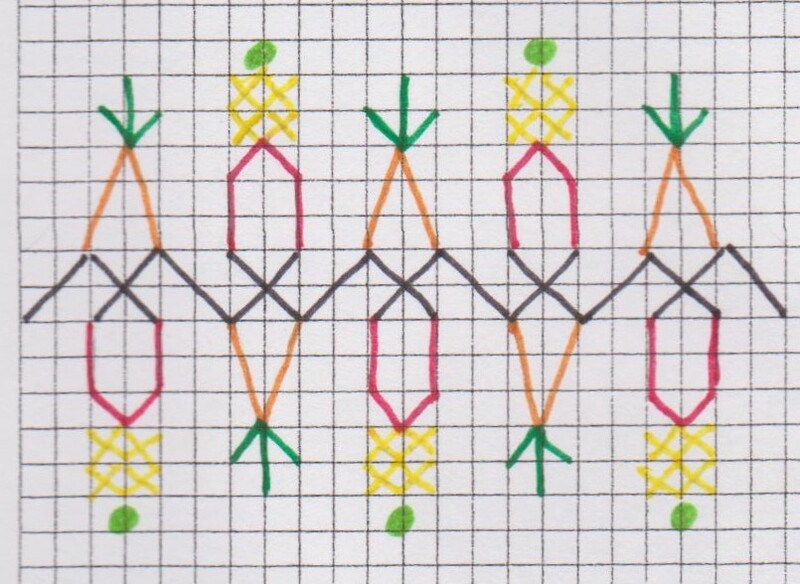 French knots or beads (light green). - I happened across a great video for creating a crocheted version of an i-cord. Looks fairly simple and gives a good result. Go HERE for that. - THIS is a purchased pattern but it falls under the extreme awwwwww factor. - For those of you who are like me and don't like the industrial look of filing cabinets, perhaps doing THIS to yours might make it a whole lot more interesting. And further on making file cabinets look better, THIS is an expired commercial listing on the internet, but the picture tells the story. I like this one a lot! I went searching for a quote that would reflect the having a bad day scenario and what popped up but this one (by an anonymous source)... "Today will be one of those days where even my coffee needs a coffee"
My mom had the same saying! She said 'stayed' in bed instead of 'stood'. Lovely patterns again, as usual. Loved the little baby dress. 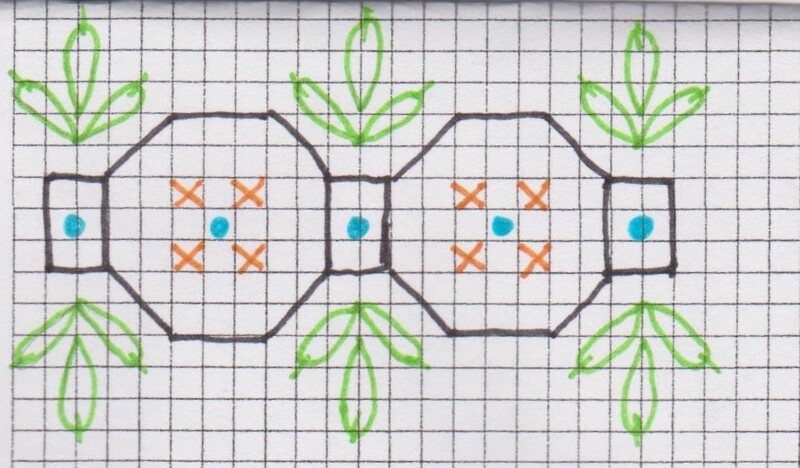 Love the stitching ideas, thanks, Mary Anne! Ohhhhh, I can think of a few uses for the i cord pattern! Awwww, how cute! Great ideas, especially the Retro Camper Van chest of drawers. It's days like that that help us recognize the really good days! what i love about these posts are the precious, detailed drawings accompanying the stitching.